Hello everyone! 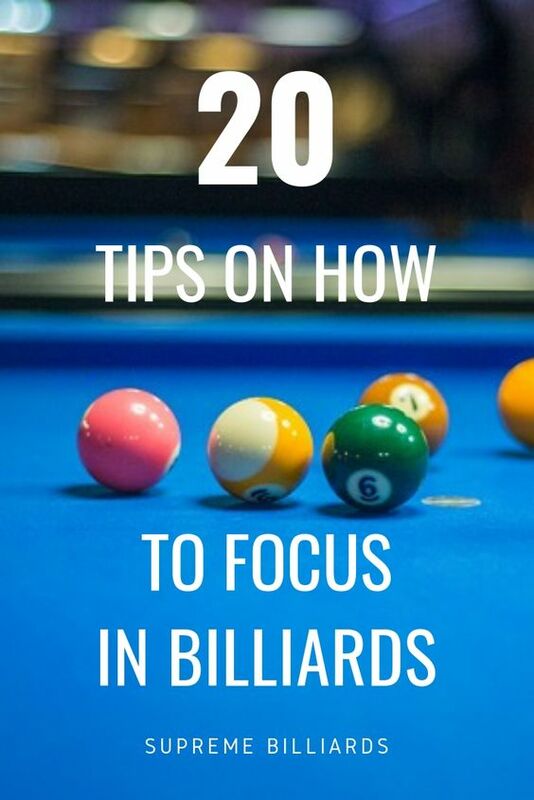 In today’s post, I’ll go over some tips to stay focused while shooting pool. As with all things in life, this activity can have its fair share of distractions while you’re trying to pocket the 8-ball, make a trick shot, or anything to take your mind off while shooting pool. Of course, there are 17 more that you can check out by clicking the link below. I hope that these tips will help you out if you’re the type to become a better pool player. As always, feel free to add your thoughts in the comments box below, and share this on social media. I will see you again in the next post. Cheers!